Massive Control And Customization. The Best Content From Social Media. Built For Rosati's Franchisees. Rosati's Social TV compels your customers to share about your restaurant on social media while they are physically in your venue. Everyone loves to be seen on TV! 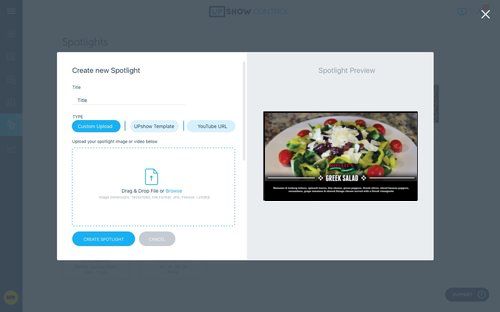 Big brands choose UPshow to power Social Media TV. Give your guests a reason to look up and be engaged with your Rosati's while they’re inside!